Serving up good fries, good burgers and good vibes, Burger Lab is the new kid on the Herne Bay block and it’s fast becoming the talk of the town. Jan Shen and Chef Lee have brought their A game to Auckland’s burger scene, infusing Kiwi classics with their own oriental flair to hit that big burger craving. They get that most people on the planet are pork bun fiends and if you are one of them then the Pork Burger is a must. With pork belly slow cooked in a Chinese-spiced soy, Asian peanut slaw, pickled cucumber, spring onion and hoisin mayo all perfectly perched on a steamed bao, this burger is what dreams are made of. Their beef burger is a clear winner if you’re looking for a classic, with a NZ grass fed beef patty, aged cheddar, pickles, lettuce, tomato, streaky bacon, caramelised onion, smoked BBQ sauce and aioli on a soft-as-clouds brioche bun. For the thrill seekers, the chicken teriyaki burger is the one for you. Teriyaki chicken thigh, brie cheese, slow cooked daikon and kombu, iceberg lettuce, tomato relish with a miso aioli on their beautiful brioche bun is the perfect combination of east meets west. Not only are they epic at making burgers, Burger Lab have also nailed the sides. If you’re ready to get messy, grab a plate of hot buffalo chicken wings. Be sure to add a side of fries to your beastly burger with the choice of skinny, thick or if you’re in the mood for something a little different opt for the polenta fries with truffle aioli. For the more health conscious, they’ve got slaws and salads so you can get your green hit in. To keep you hydrated, they also have a great drinks list featuring Phoenix Organics, Karma Kola and his buddies, and some of the most delicious shakes and smoothies you’ll ever try. 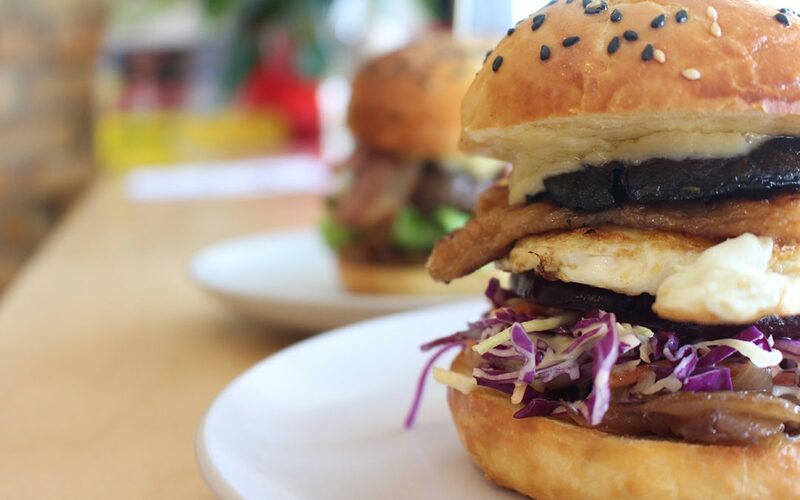 And if all of this isn’t enough to get you down to Jervois Road, every Burger Lab diner gets a free Panna Cotta to sweeten the deal. A simple stop off after work or just a phone order away, this no fuss fit out is a no brainer for the burger lover. Grab any Burger Lab burger for $10 or two burgers for $19 here.